This is a simple but healthy and delicious pasta dish that we eat regularly. 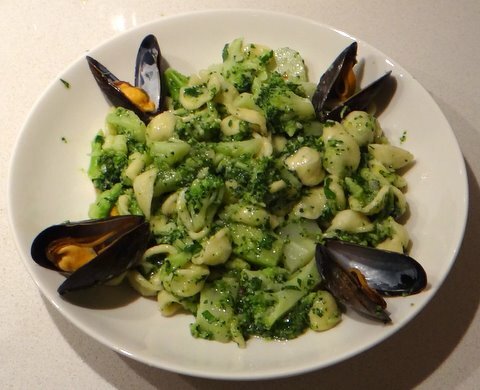 The combination of mussels and broccoli works very well, and the ‘juice’ that is left from cooking the mussels makes a very tasty sauce. Chop the onion. Take the stems off the parsley and chop those as well. 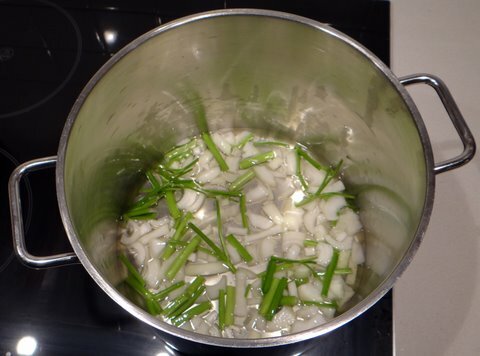 Put onion and parsley stems into a large pot and add white wine. 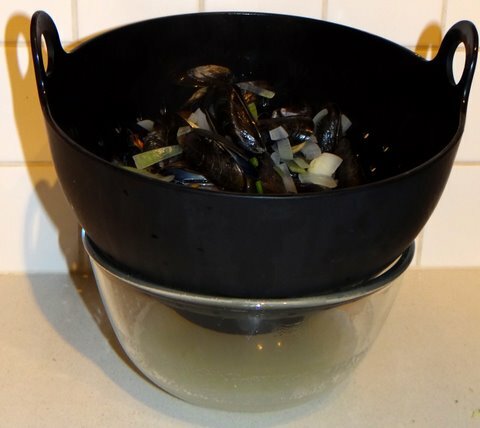 Rinse the mussels in cold water. Discard any mussels that remain open. Add the mussels to pot. Cover with a lid and put on high heat until the mussels are open. Don’t cook longer than necessary, because that will make the mussels tough. Drain the mussels and catch the liquid. 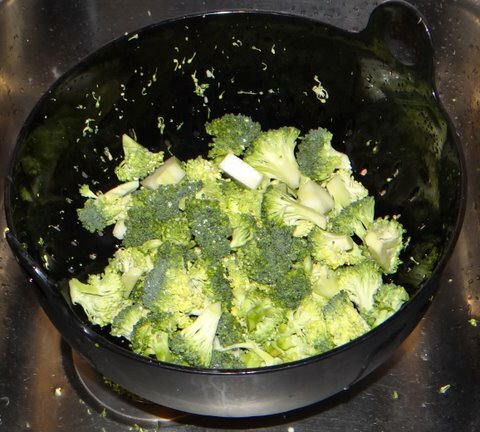 Cut the broccoli into bite size florets. Remove the bottom and tough skin off the trunk and cut the trunk into bite-size pieces as well. Rinse with cold water. Bring a pot of water to a boil. Add salt and the pasta and cook as long as indicated on the package for al dente. 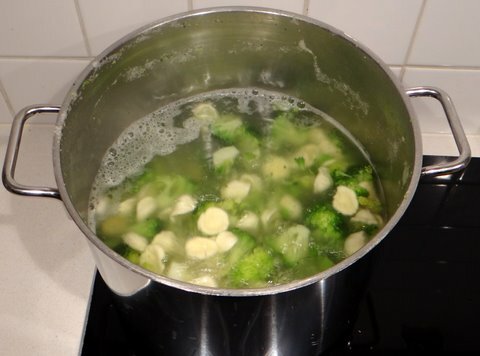 Add broccoli for the final 8 minutes. 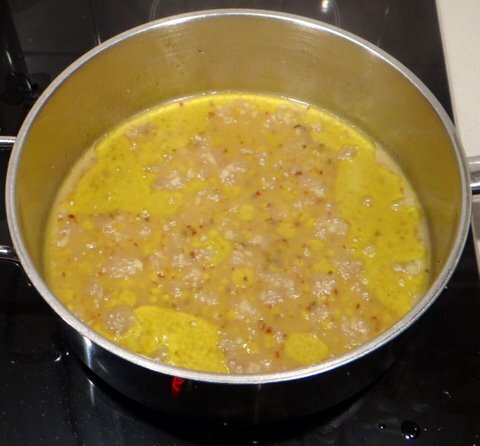 Meanwhile, put around 4 tablespoons of extra virgin olive oil in a frying pan over medium heat. Add chopped garlic, anchovies and dried chilli pepper and sautée over low heat until the anchovies have melted. 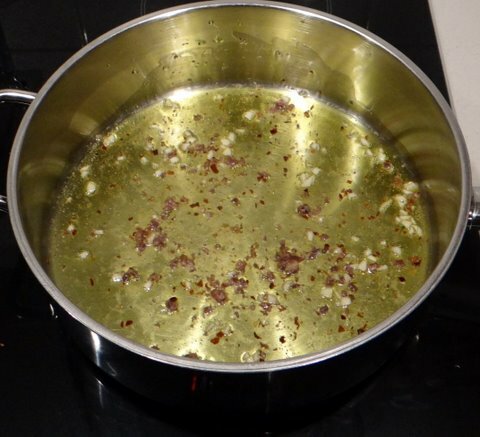 Do not let the garlic turn brown. 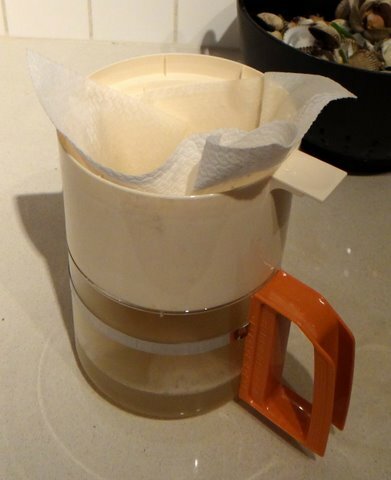 Filter the mussel liquid using a paper towel. 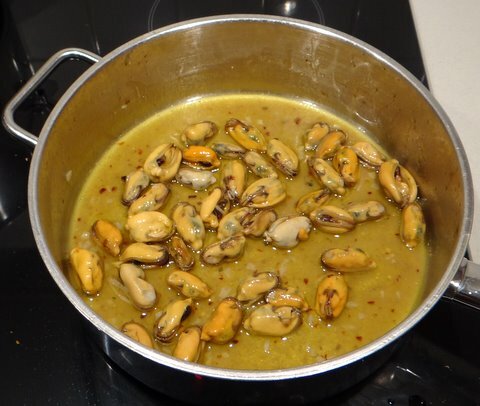 Add most of the mussel liquid to the flavored oil and cook over medium heat until only about 1/4 of the original liquid is left. 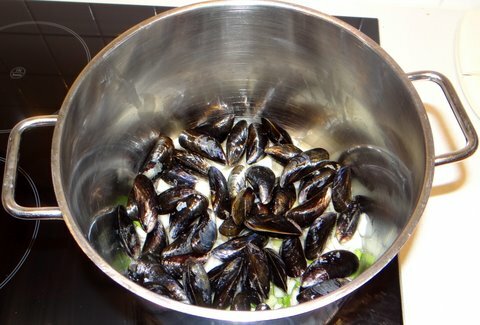 Take the mussels out of their shells and heat them for 1-2 minutes over low heat in the oil-mussel liquid mixture. When the pasta and broccoli are done, drain and add to the mussels. Add chopped parsley and toss to mix. Serve on preheated plates. Do not serve with grated parmigiano! 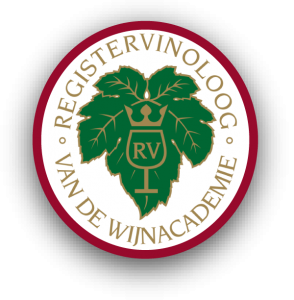 Pairs well with a full-bodied unwooded fruity chardonnay from Chili or Australia, or a fruity white burgundy from a hot year such as 2009. I am a huge orecchiette fan! We just got a chance to taste a myriad of orecchiette dishes during our trip to Puglia. If I ever get my hands on good quality orecchiette integrale, I would love to re-create the orecchiette integrale con broccoli e capocollo we had at a SlowFood place in Martina Franca (Il Ritrovo degli Amici). You could always make the orecchiette integrale by yourself 😉 If I’m not mistaken, the only things you’d need would be wholemeal flour and water. I’ve never tried that myself yet though, and always pick up huge quantities of artisan orecchiette whenever I’m in Italy because the artisan quality is very expensive in Amsterdam.